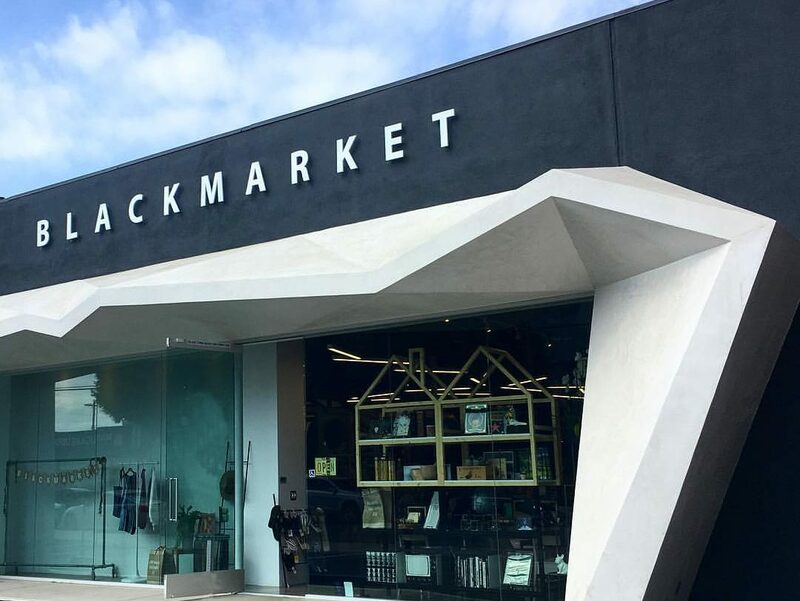 BlackMarket has moved into their new space, and it is causing quite a stir on Sawtelle in West Los Angeles. In what used to be the old George’s Lawn Mower Repair Shop, Lewis/Schoeplein worked with BlackMarket to create a layered retail experience reflective of the new urban experience on Sawtelle Japantown. The store’s owner, originally trained as an art historian, saw the project as primarily retail, but also part gallery, and part neighborhood “salon”. The architects worked to create an environment that can change over time, transforming the visitor experience from passive shopper to active participant. The store offers unique clothing, gifts and books, and will soon add a coffee bar, gallery exhibitions, and an outdoor event space.